The Green Johanna is the garden compost bin with a difference. A hot composter, the Green Johanna recycles all kinds of waste food - even cooked food, bones, meat and fish - into natural organic compost. If you love recycling and would like a greener garden, the Green Johanna is for you. A hot composter, the Green Johanna recycles all kinds of waste food - even cooked food, bones, meat and fish - into natural organic compost. 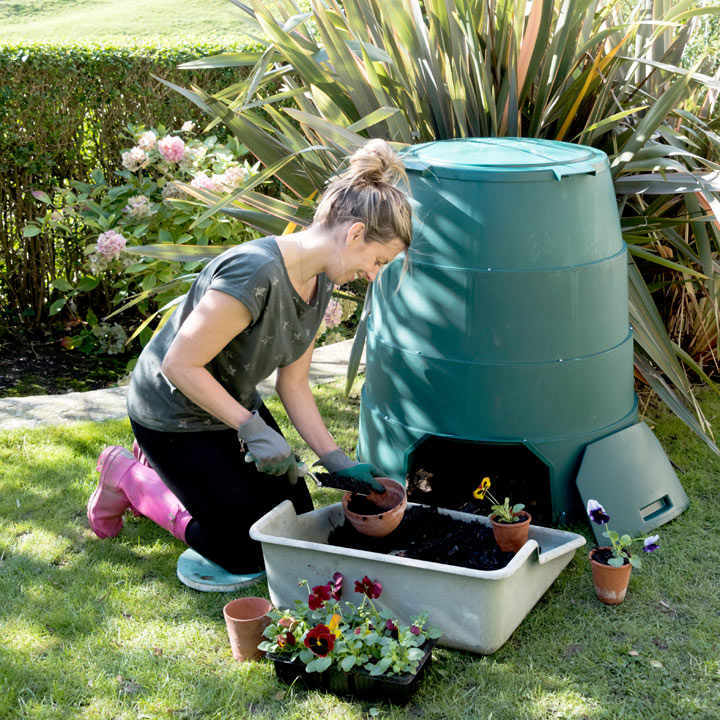 Simply install the Green Johanna in a shady, sheltered spot and fuel with a few centimetres of garden waste. Then add two layers of food waste for every layer of garden waste. To ensure food waste recycling all year round, dress your Green Johanna in her winter jacket (purchased separately) once the average outdoor temperature drops below 5°C. "The Green Johanna is the garden compost bin with a difference. 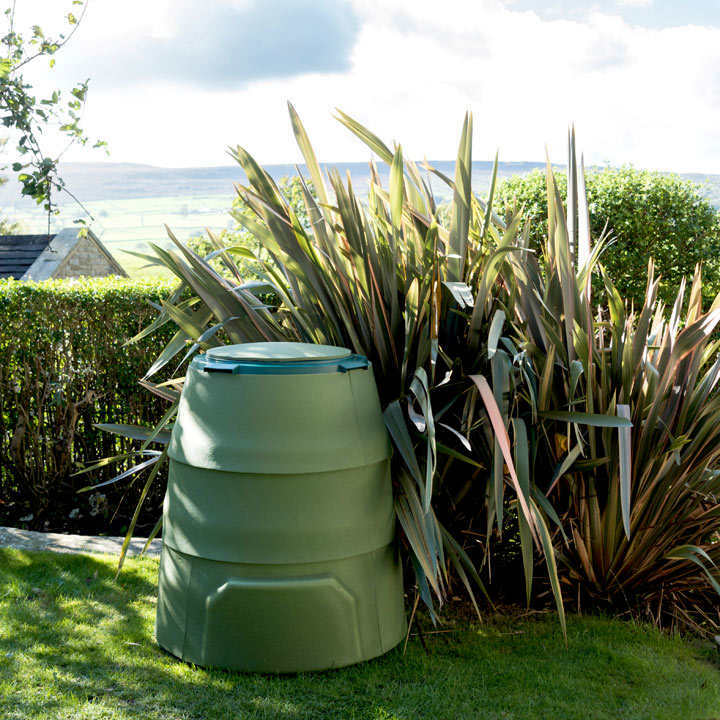 A hot composter, the Green Johanna recycles all kinds of waste food – even cooked food, bones, meat and fish – into natural organic compost. If you love recycling and would like a greener garden, the Green Johanna is for you. A hot composter, the Green Johanna recycles all kinds of waste food – even cooked food, bones, meat and fish – into natural organic compost. Simply install the Green Johanna in a shady, sheltered spot and fuel with a few centimetres of garden waste. Then add two layers of food waste for every layer of garden waste. To ensure food waste recycling all year round, dress your Green Johanna in her winter jacket (purchased separately) once the average outdoor temperature drops below 5°C."